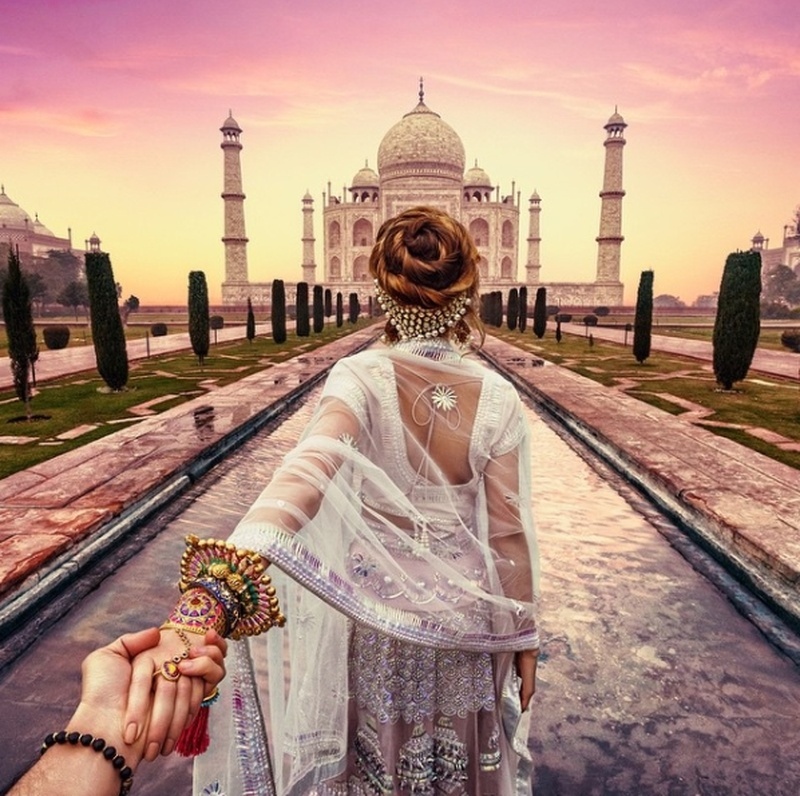 These Trending Indian #FollowMeTo Pictures Are What Your Wedding Photo Album Needs! You may already know of Murad and Nataly Osmann’s #FollowMeTo series. Murad Osmann is a Russian photographer who takes breath-taking pictures of his wife Nataly Osmann. But what makes them so brilliantly unique is how they’re shot. The entire #FollowMeTo project features images of Nataly leading Murad (who is behind the camera and not in the frame) to the most beautiful locations around the world. From the streets of Florence, to deserts in Dubai to the forts of Jaipur, they all show Nataly’s extended hand holding onto Murad’s, leading him to a gorgeous location. They even took a trip to India and captured some awesome pictures in Agra, Jaipur, Udaipur, Varanasi, Hampi and lots more places! Click here to check out more of the #FollowMeTo series. Well what’s happening is everyone around the world (photographer and not-photographer) is replicating the idea behind these images. How cool would it be to have one of your own? Especially in all your wedding-worthy glory! Some Indian couples have already started getting them clicked by their wedding photographer. So, guys? Would you try these out for your wedding photo album?